It will be our pleasure to welcome you in our stand J 111 - J 112 in Pavilion N3. This year, the stand will be mainly dedicated to the novelties, in particular to the display of our new Collection Sinfonia. 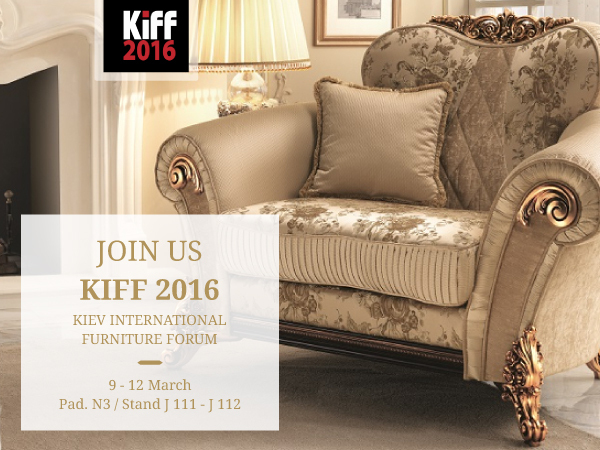 At the exhibition KIFF 2016 the world's leading furniture brands will be present: a unique occasion in which each year more than 25,000 professionals in the furniture branch meet each other. An important event, in which the best collections and the latest trends of the global furnishing design will be shown. KIFF is also an event full of workshops, presentations and seminars, presented by professionals in architecture and design. The exhibition space of Arredoclassic will be of 25 square meters. You will find us in Hall 3, Stand J 111 and J 112.